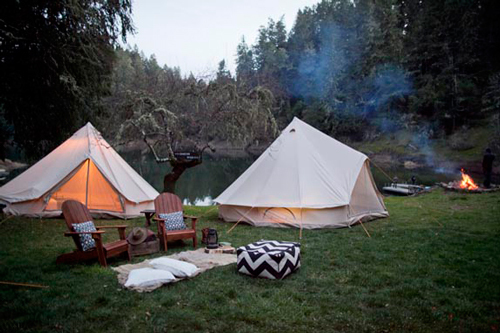 Shelter Co is a pop up lodging service based in Northern California that caters to groups looking for an overnight outdoor experience. Their groups range from wedding parties to corporate team building exercises to family reunions, and provide a complete camping experience, including the utensils used for cooking (they even provide the food!). Founders Kelsey and Mike Sheofsky don't just offer their clients the basic necessities, they do a beautiful job of capturing the beauty of nature and their appreciation for design. Do you enjoy camping? Would you do it if you could sleep in an awesome teepee? 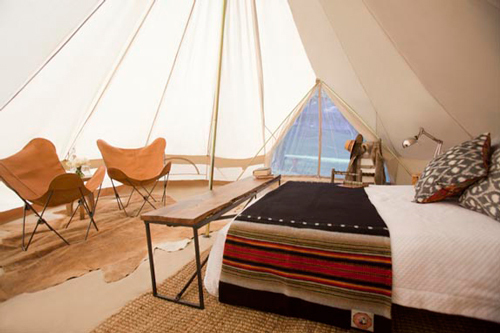 I would love to sleep in a teepee/tent. I love being outside. After working outside for the past 9 months I start to feel kind of gross when I am inside for more than 24 hours. Not being able to go camping or backpacking is killing me!